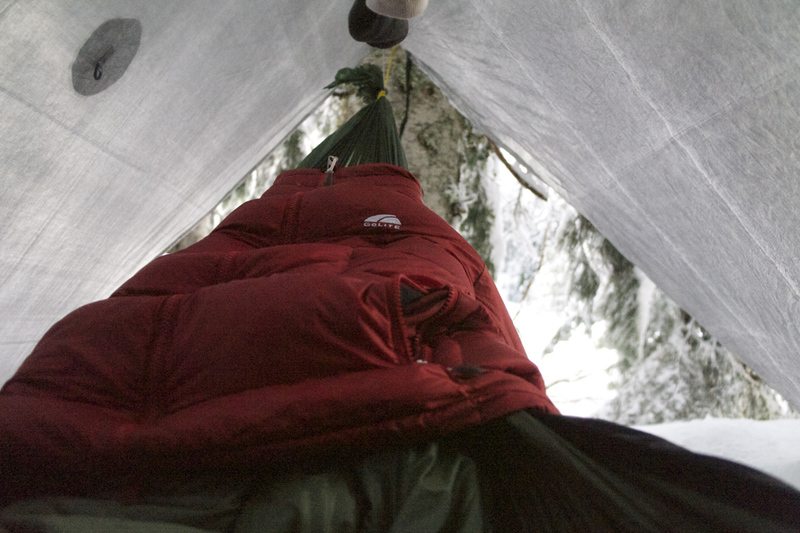 Many hammock users have found success using a top- and under-quilt system for insulation against the elements. That isn’t to say that a top quilt is useless on the ground – quite the contrary, actually. 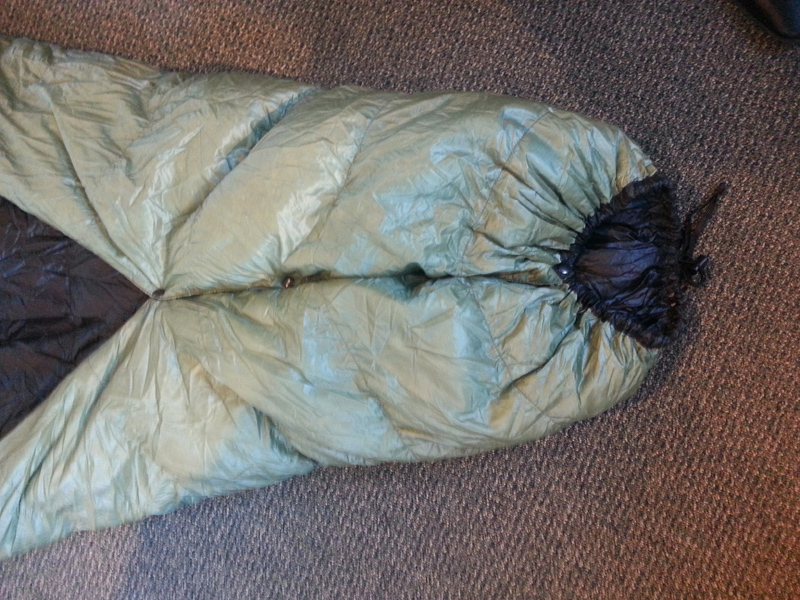 I have used my Hammock Gear Burrow in a tent on numerous occasions, including several nights well below freezing. Eliminating the bottom of the bag also reduces the weight (duh…) and the quilt can be vented very easily. Personally, I’ve never liked the feeling of being trapped in a mummy bag. It makes me feel like… well… a mummy in a sarcophagus. I typically toss and turn a lot while I’m sleeping, and primarily sleep on my side. 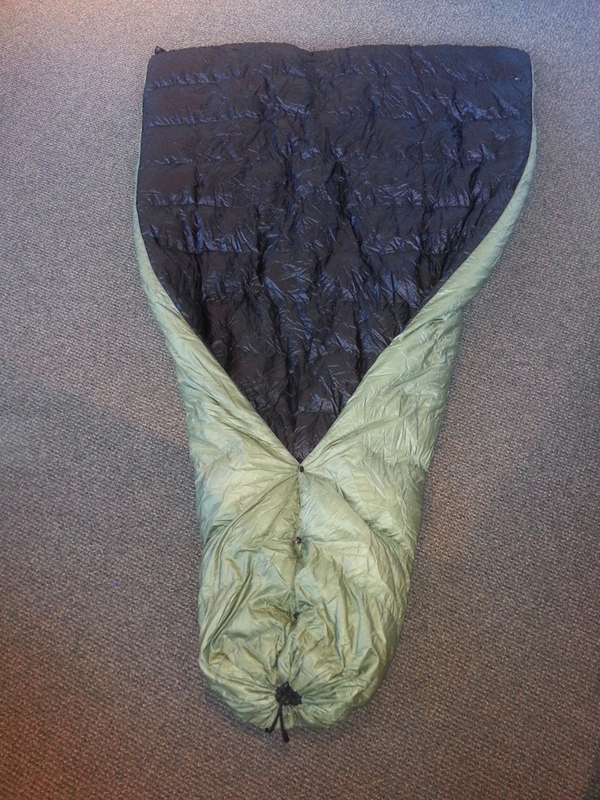 Because I move so much, a sleeping bag can become twisted and constrictive. With a quilt, I can move freely and seldom end up with cold spots, even on the ground. There are many ways manufacturers and consumers attempt to quantify the temperature range of a sleeping bag, but even the most accurate (the European-standardized rating system – EN 13537) is little more than a fair estimate. Simply put, there are too many variables between users. 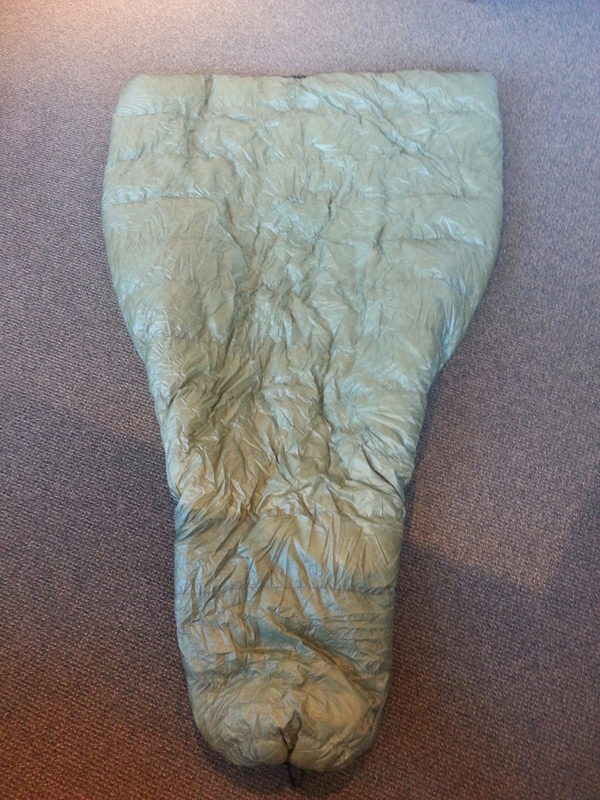 Insulation materials vary widely in their ability to retain heat; different cuts in the shape of the sleeping bag will have significant effects on how and where cold spots form. Topquilts can be even more difficult to rate than sleeping bags, because of the wide variability in body type, metabolism, weight, sleeping position, and so on. There are no hoods on quilts, so you can’t cinch down around the top of your head and must supplement with a hat. There is also the ‘fiddle factor’ of quilts, as some users toss and turn violently, creating cold spots. Due to these variables, topquilt makers are typically even more conservative with their ratings than cottage sleeping bag manufacturers. It would not be cost effective to test their products in the highly controlled manner required for EN13537 ratings, so “cottage industry” manufacturers of sleeping bags and top quilts tend to use real-world experiences and field-testing to generate ratings. Typically, these ratings are much more conservative than those given to commercially produced bags, because cottage manufacturers rely heavily on word-of-mouth for advertising. A few inaccurate claims can devastate a manufacturer’s sales in the already small cottage market. 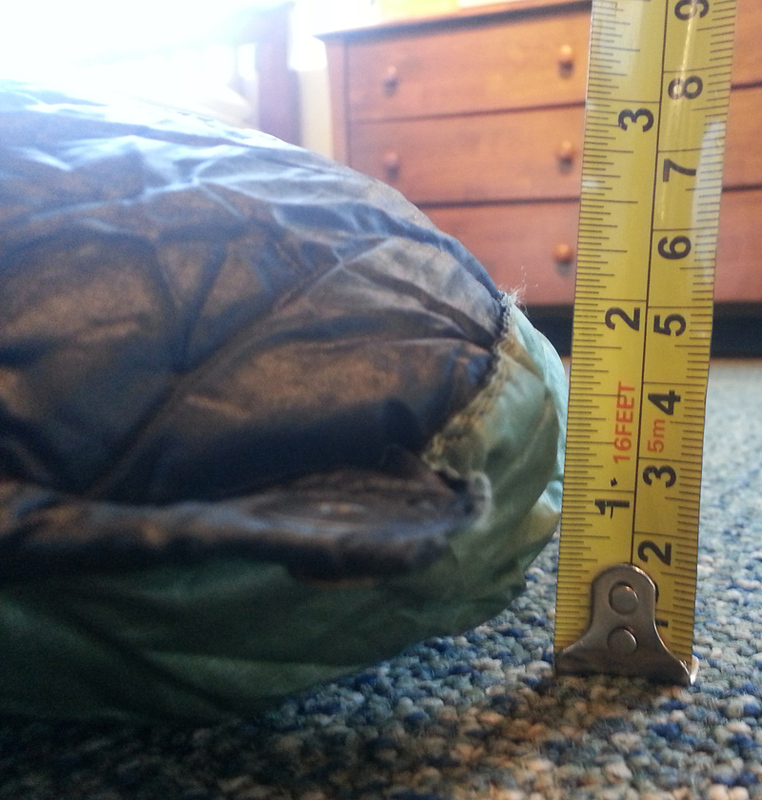 Another method used to objectively rate the comfort range of a sleeping bag is to measure the loft of the bag. 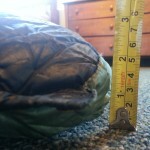 The thickness of the insulation ABOVE the user can give a fair indication of the sleeping bag or topquilt’s usable range. Backpacking Light has a convenient table and an article on the subject here: My Burrow quilt is rated by the manufacturer to 20°, but with >2.5 inches of measured loft, its rating should be closer to 15°. Take care when using this chart to rate synthetic bags, as the quality and composition of synthetic insulation varies widely. I’ve found the actual temperature range of Hammock Gear’s products to be at least ten degrees below the rated temperature. My 20° Burrow has been used to single digit temperatures on two occasions, and several times into the teens. I generally use a 20° 2/3rd length underquilt beneath my hammock and a torso-length RidgeRest SOLite on the ground. The results of other users WILL vary, so please do not assume that a 20 degree bag will keep you warm at 2 degrees without first testing it. 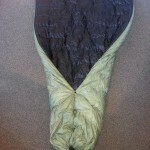 Hammock Gear offers several lengths and widths of quilt, in addition to ‘overstuff’ options. Wider folks may want to consider a wide quilt, especially if it will be used on the ground; I’m 140 pounds and 5’11”, so the regular length & width works well. Adding the overstuff option increases the amount of down in each baffle by a small amount, effectively increasing the usable temperature range of the quilt. I’m a very warm person, so I didn’t opt for the overstuff option. 20° Burrow in a tent. I’ve spent more than 100 nights under my Hammock Gear Burrow. I’ve only washed it once (and will need to again soon – it is beginning to get funky!) and have seen only a few feathers poke through the fabric. 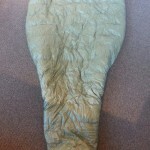 The last sleeping bag that I owned, a Marmot Helium, always seemed to be bleeding feathers. The fabric seems very strong for its low weight, and I’m confident that I’ll get at least ten more years of use out of it. I typically use the top quilt in conjunction with an underquilt that extends from my shoulders to my knees. The top quilt can be pulled up over my head, but I usually sleep with it tucked under my chin. Under my head, I have my rain jacket rolled up (if it is dry) and a down hat or balaclava on my head. It is important to note that you should never sleep with your face completely covered with the quilt, especially in very cold temperatures where the down may become wet from moisture in your breath and then freeze inside the quilt. 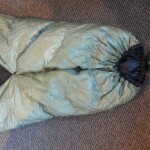 Since my underquilt only extends to my knees, I wrap my down jacket around the foot of my hammock and zip it up, creating a cocoon of warmth for my feet. I also carry a torso-length Gossamer Gear 1/8th inch EVA pad as a backpack pad, which I can use under my feet if they get cold. This system has worked for me for several years, and I plan to make a video in the near future detailing its use and effectiveness. In extremely cold temperatures, the collar of the Burrow quilt can be snapped together behind the user’s head. This prevents the quilt from shifting and creating cold spots. 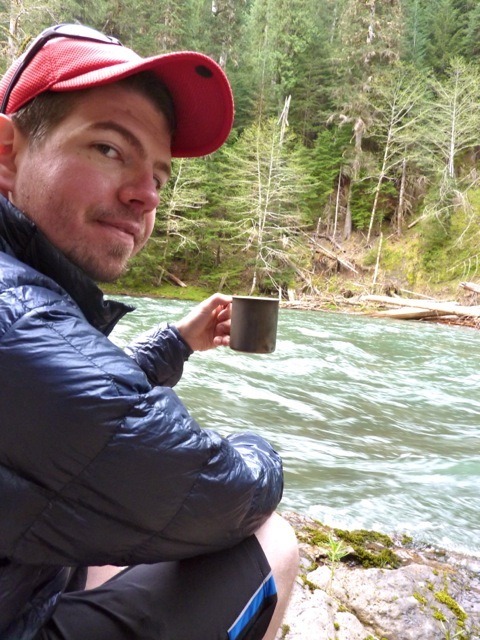 Personally, I’ve only had to use this feature twice – once in my hammock and another time on the ground. Both times I’ve needed to snap the quilt, I was using it well below its suggested temperature range. The footbox of the topquilt snaps together, though the option exists to have the footbox sewn. I tend to sleep very warm, and so the ability to ventilate the topquilt by unsnapping the footbox is very useful. There is a drawstring at the end of the footbox that also allows for ventilation, but I’m not sure if having the footbox sewn eliminates the drawstring. If I were to purchase another, I’d probably have the footbox sewn shut provided I could still use the drawstring system at the bottom; it is rare that I don’t need SOME ventilation. I love this bag. While I was initially skeptical of the coverage provided by a topquilt, I’ve been nothing but impressed. The warmth-to-weight ratio is better than could be expected from even the lightest sleeping bags on the market (many of which I have owned). Topquilts have been growing in popularity with tent and hammock campers alike, and manufacturers are continuing to offer more options. 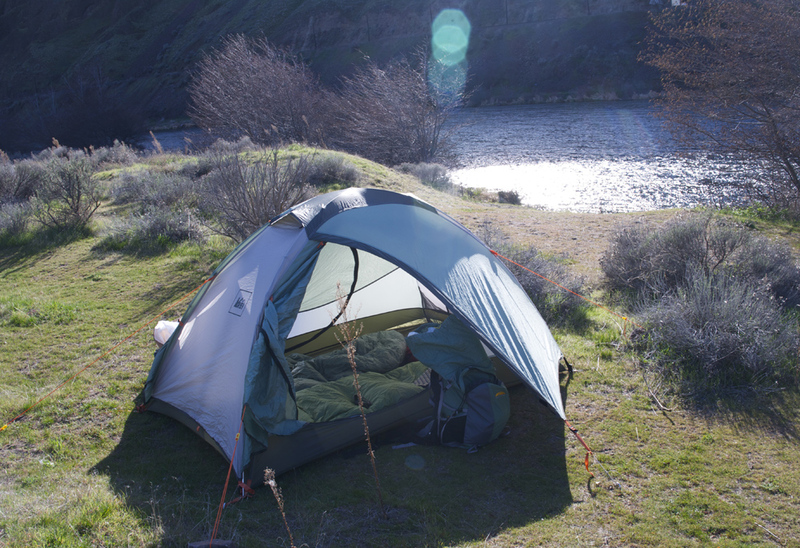 Even with the numerous options available from a number of manufacturers, the Hammock Gear Burrow stands out from the crowd. 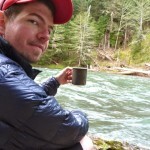 Jesse purchased the top quilt with his own funds and was under no obligation to write this review. Thank you for reading! How small does this quilt compress?